This isn’t TheDominoKing’s first rodeo by any means. 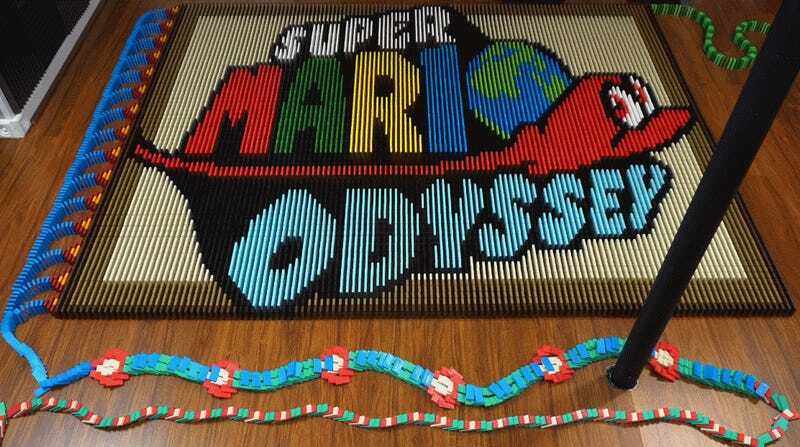 He was at it last year as well putting together small scenes from Super Mario World with just over 80,000 used in all. For Super Mario Odyssey though he upped his ambitions. The project was originally supposed to be complete in time for the game’s release, but the YouTuber decided to take some extra time and add a few more dominoes. Each setup was recorded individually and then linked together with editing. So no, the nearly five minute video is not of one continuous domino mural, but it’s still pretty damn impressive. The music playing in the background, meanwhile, is the game’s theme song. You can see TheDominoKing’s other creations here.